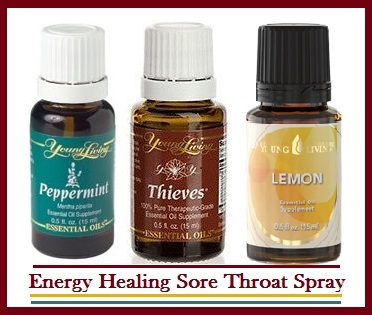 The following Sore Throat Spray includes the energy healing properties of Peppermint, Thieves, and Lemon Essential Oils.. 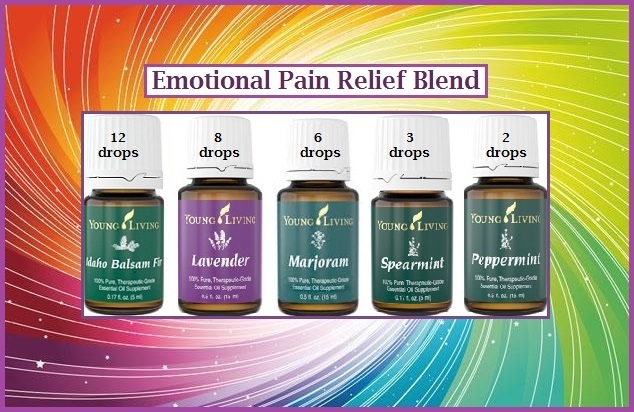 It is very important when shopping for essential oils that the labels specifically state that the products are 100% therapeutic-grade essential oils. 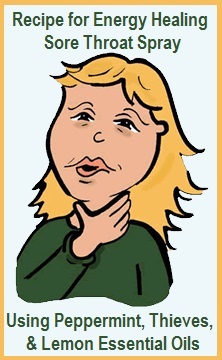 Before using shake well, then spray 1-2 squirts on the back of the throat for soothing relief. *I only recommend Young Living Essential Oils.